Dr.. Quentin Park was born in Aurora and lived in Montgomery and Batavia. He attended high school at the Marmion Military Academy, then went on to graduate at the Augustana College in Rock Island, IL where he earned his Bachelor of Science degree. Dr. Park earned his Doctorate in Optometry at the Illinois College of Optometry. 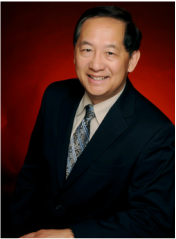 Dr. Park is past president of the Lions Club of North Aurora and is also involved with the Batavia Chamber of Commerce, Fox Valley Optometric Association, Illinois Optometric Association, and the American Optometric Association. He is also a volunteer doctor at Provena Mercy Medical Center Diabetes Wellness Center. In his spare time, he has been a devoted student and competitor of the Carlson Gracie Brazilian Jiujitsu Team and Coach Jeff Neal and Coach Larry Lindenman for 10 years. He currently is a part-time assistant instructor and holds the rank of purple belt two stripe promoted by Master Carlson Gracie Jr. in April 18, 2018. He also has 3 years of Judo and Muay Thai training experience. Dr. Park has competed in numerous tournaments such as NAGA, US Grappling and the International Brazilian Jiujitsu Federation (IBJJF) winning numerous gold, silver and bronze medals. Dr. Park once competed in a tournament match that lasted 86 minutes and 14 seconds against a world masters medalist. He recently made his pro debut against Ryan Camonier at Fight to Win 84 on August 17, 2018. Same day appointments are available Monday through Thursday with Dr. Quentin. Please call ahead for availability. Dr. Quentin is currently accepting new patients. Dr. Lena Park was born in Aurora and lived in Montgomery and Batavia. She graduated from Rosary High School and then went on to the University of Illinois(Champaign-Urbana), where she received a Bachelor of Science degree. Dr. Lena is a graduate from the Illinois College of Optometry in Chicago. She is a member of the TLC Westchester Chicagoland Laser Eye Centers advisory board, and her professional memberships include the Fox Valley Optometric Association, Illinois Optometric Association, and the American Optometric Association. She is also a member of the Batavia Chamber of Commerce, Her focus at Park Family Eye Care is pediatric vision care. Dr. Lena is an InfantSEE provider, and an assessment can be done at no charge for infants between 6-12 months of age (under age 1). Please refer to http://www.infantsee.org/ regarding this program. In her spare time she enjoys running and training for marathons. Dr. Lena is currently accepting new patients. Dr. Bill Park was born and raised in Aurora. Dr. Park is a Gold Ivy Leaf honors graduate from Aurora University with a Bachelor of Science in Mathematics. He received his Doctorate of Optometry and Bachelor of Science in Visual Science from the Illinois College of Optometry. Dr. Park was a Beta Sigma Kappa honors student there as well. He has been in practice since 1977. Dr. Bill Park is currently serving on the Alumni Council Board of the nation's largest optometry school, Illinois College of Optometry. Dr. Park has been President of the Exchange Club of Aurora and Past President of the North Aurora Lions Club and formally served on the board many times, and is also served as the Lion Tamer several times.. He has served as Chairman of the Provena Mercy Medical Center Foundation and as board member. He was formerly an advisory board member and a volunteer doctor to the Provena Diabetes Wellness Center. He is also a member and past President of the Fox Valley Optometric Society, past executive council member of the Illinois Optometric Association and a member of the American Optometric Association. Dr. Park is also on the TLC Westchester Chicagoland Laser Eye Centers advisory board of directors. Dr. Bill is a member of the Batavia Chamber of Commerce. His practice style is personalized, progressive, comprehensive, while utilizing the highest technology equipment and keeping up-to-date by attending frequent continuing education courses. Dr. Park's office is nestled along the beautiful Fox River in North Aurora on Route 31 at the intersection of Route 56. His office was once a small home and then became an insurance agency. In 1982, Dr. Park purchased the property, remodeled the building, added an addition in 1988 and had it professionally decorated. In 2004, the building facade changed and a 912 square foot addition was constructed. The office still has that homelike feeling with state-of-the-art instruments in each room. Dr. Park wants patients to feel comfortable with their examination and take home with them the feeling that they have had the most thorough eye exam and refer family, friends, neighbors and co-workers. His office is well equipped with premium quality frames and lenses. With his son, Dr. Quentin Park and his daughter, Dr. Lena Park, both graduates of Illinois College of Optometry, patients will be assured of the continuity of care in the Park tradition of personalized family eye care. This practice has served towns including Aurora, Batavia, Eola, Elgin, Wayne,LaFox, Fox Valley, Geneva, St. Charles, Sandwich, Montgomery,Oswego, Plano, Yorkville, Hinckley, Big Rock, Elburn, Warrenville, Wasco, Naperville, Lisle, DeKalb, Sycamore, Davis, Paw Paw, and many others. Dr. Louis Probst is the Medical Director for TLC Westchester Chicagoland Laser Eye Centers in Chicagoland, Madison, Wisconsin and Greenville, South Carolina. He was selected among ophthalmologists across North America for a surgical corneal fellowship in corneal transplantation and refractive surgery at the University of Minnesota. Dr. Probst is one of the most experienced surgeons in the world, having performed over 115,000 LASIK procedures! A true leader in his field, he has also helped develop 10 instruments to enhance procedure results and continues to lecture and train surgeons throughout the world. He has published over 40 articles in peer-reviewed journals, 50 book chapters and 7 textbooks on refractive surgery. In 2005, Dr. Probst was selected by his peers as one of the Top 50 World Opinion Leaders in the Field of Cataract and Refractive Surgery. Please visit http://www.lasikwithprobst.com/ for additional information.